Matt Gittings, the White Knight from Reading, Berkshire, UK, knew he wanted to be a professional bike racer at age 6. His talent and discipline at such a young age landed him on the British Cycling Talent Team by 14, but a serious injury slowed his record-breaking pace to achieve stardom. His perseverance and mental fortitude brought him back to the top in a few short years as one of Europe’s best known Derny riders, in addition to his continued success in all track disciplines. 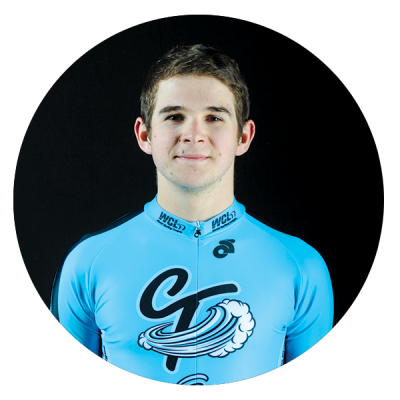 Attending Marian University in the United States where he won 8 National Collegiate Titles in both endurance and sprint events, Gittings brings unmatched professionalism and a well-rounded skillset to his Connecticut team, where he seeks to become a future hero of the World Cycling League.